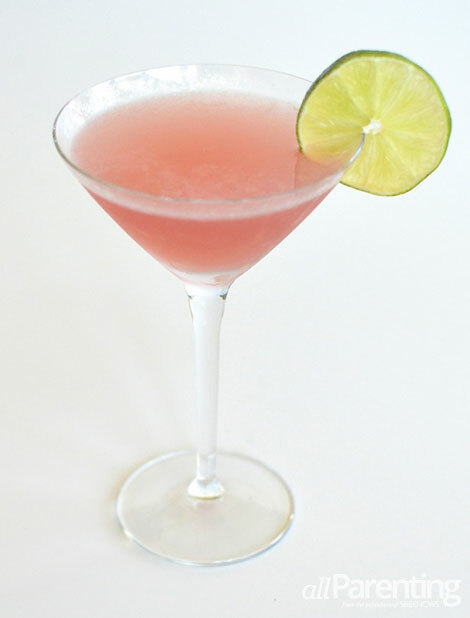 Cosmopolitans are one of the hottest drinks to make at home for friends or order while out. Usually made with vodka, the sophisticated Cosmopolitan has similarities to a margarita, so why not shake it up with a little tequila instead? Place the tequila, martini shaker and a martini glass in the freezer for 30 minutes. Fill your martini shaker with ice. Add the tequila, Cointreau, fresh lime juice and cranberry juice to the shaker and shake vigorously until well combined. Squeeze lime wedge into cocktail and discard the wedge. Garnish with another wedge of lime and enjoy! Find more delicious cocktails from allParenting!